Its hard for persons to tell where they would be at a certain day and time in their lives. But I am not sure Jasrado Chisholm was one of them the Kid knew all along where. The Diamondbacks #2 Prospect always knew where he would be today; this little guy always told his coaches at the Freedom Baseball League. That he was going play major leagues baseball and started his journey at very young at fields of Freedom Farm. I first met Jasrado as a 4 year old boy in the fall of 2006, I was holding a practice of my 9/10 baseball team, the Green Jackets at the Blue Hills Softball complex. I observed Jasrado on the field opposite where I was holding practice and he was playing in a scrimmage softball game with a lady who I would come to learn in a few minutes was his grandmother Patrica Coakley and her other siblings. He was playing in slippers and I observed his raw talent throwing, running and hitting the softball. I concluded this little boy needed to get involved in organized baseball where he would have proper development. Then I proceeded to leave my practice for a few minutes, went over and introduced myself to his guardian and gently request if they would allow me to take him and introduce him to the Freedom Farm Baseball League program. There was no hesitation on behalf of his grandmother at all, thus began the journey of me picking up Jasrado for practice from 6th street the grove and taking him to Freedom Farm to be a part of my team. This continued on for his coach pitch years and until he reached 11/12 division where was he drafted by the Conchs. Jasrado Chisholm playing short stop at Life Preparatory Academy, Kansas. Photos by Coach Stephen McNett. At the age of thirteen, two years after playing on the 2010 Babe Ruth Baseball League Cal Ripken World Series. He went off to Life Preparatory School in Kansas for high school and he was very excited in an interview. On the local television sports interview after he learned from Freedom Farm President Greg Burrows that he going of to high school in the USA. Jasrado was Happy, Happy full of excitement. He talked about what this will mean for him in the game of baseball and for a chance to make it to the Majors. He played 3 seasons with Life Prep under coach Stephen McNett, now head baseball coach of Central Christian College of Kansas. Jasrado Chisholm returned home after his junior year where attend Leadership Academy to finish his senior year of high school. To improve his baseball skills Jasrado also enrolled in the MaxD Baseball Academy in Nassau, Bahamas. July 2nd, was international baseball players signing day by Major League baseball teams signed international players who were eligible. Quotes from the Video: Craig Shipley, special assistant to the Diamondbacks general manager, said the organisation was eager to see Chisholm’s development in the system. I’d like to thank God for putting me in this position on this signing day. I’d like to thank. The Arizona Diamondbacks for believing in me and for letting me pursue my dreams in their system. The confident Chisholm talked about is his humble beginnings and hopes to serve as an inspiration for younger baseball players. 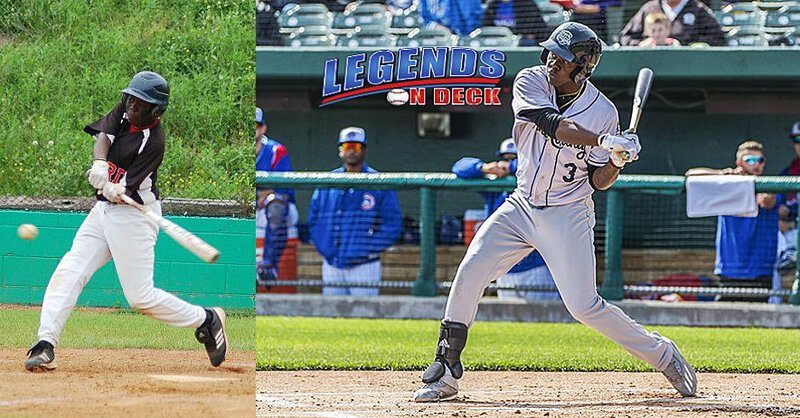 Jasrado started his minor league career with the Missoula Osprey on June 17th 2016 against the Billing Mustangs. Where he went 1 for 2 with a walk and strike out, he finished his first season with a .281 batting average, 42 runs scored, 70 hits, 9 home runs and 13 stolen bases along with making the Pioneer league All Star game. He had a injured shorten 2017 season where he was promoted to Single A Kane County Cougars of the Midwest League. Jasrado Chisholm is in his third minor league season and is having a career season. He has been promoted to Advance A Visalia Rawhides of the California League. Jazz played on the 2018 Mid-West All Star West Team and also participated in the home run derby. Don’t Blink 242 Home Run Derby in Paradise: The kids next home run derby is the Don’t Blink 242 Home Run Derby in Nassau, Bahamas on the Beach, hosted by Todd Isaacs Jr. and Lucius Fox Jr. We hope to see you there, last year Home Run Derby was won by Bo Bichette.